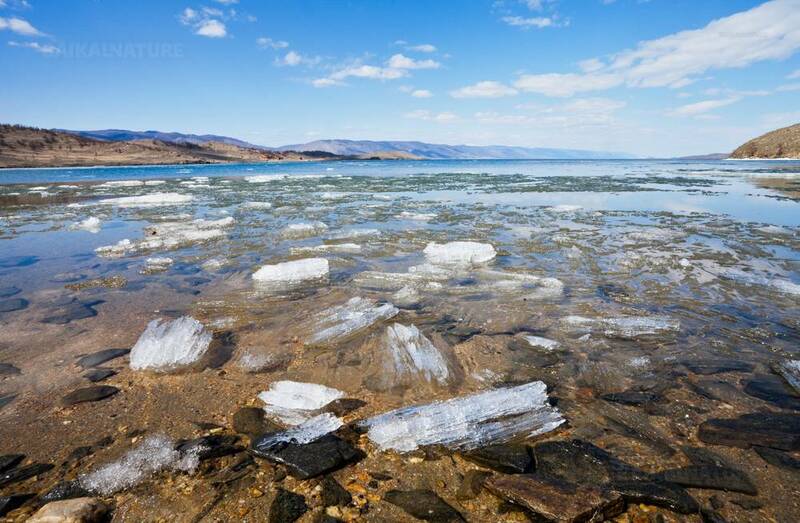 In May, the Baikal starts to free itself from its ice cover presenting an affecting spectacle. On the shores of the lake the nature wakes up and the land is covered with a green carpet of fresh grass. First snowdrops, globe-flowers of bright orange colour, violet bellflowers, and white anemones can be seen everywhere. Wild animals enjoy the arrival of spring and appear on the shores to regale themselves with insects and plants. At the same time ice slabs float in the water creating a polar atmosphere on the Lake Baikal. 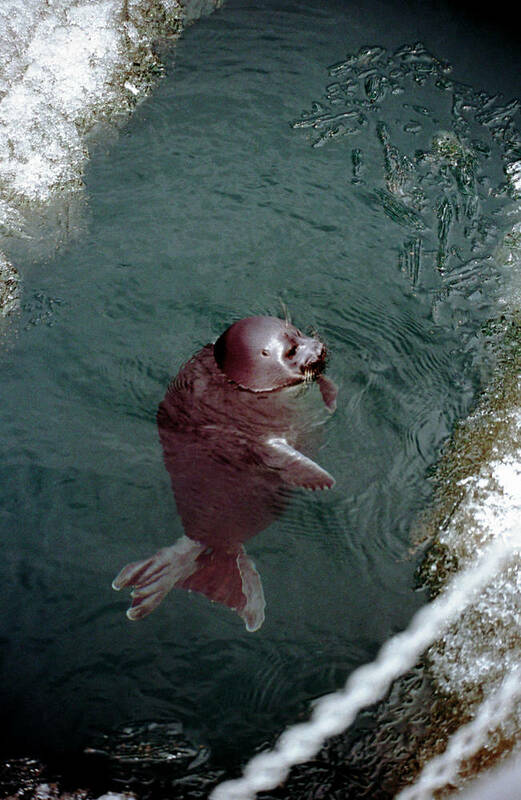 It is not rare to see a freshwater seal would watch us from afar having stretched itself on a floating ice slab. We invite you to go on an amazing journey to contemplate breathtaking scenery, walk off the beaten path in national parks and nature reserves. This cruise has the character of an expedition where the itinerary is given for illustration purposes to mark the main lines of the journey and the sites you are going to visit. However, it is important to realize that our tour will proceed depending on weather conditions and ice state. It may occur that it won't be possible to get to some locations marked on the route map because at night it may freeze so much that the access to our destination is blocked with the ice the boat is not able to break. In this case that point of sightseeing program will surely be replaced with other not less exciting discoveries. Do not forget that the only judge aboard a vessel is the captain whose task of prime importance is to provide our safety. *The indicated time is approximate and can be changed according to the chosen flight. Meeting with a shaman, discovery of shamanic practices. After lunch, continuation of the way. Several times we will stop over at picturesque sites to make offerings to the spirits of the places. Arrival to the strait of Olkhonskiye Vorota ("Olkhon Gates"). Crossing of the strait by ferry. Drive to the village of Khuzhir, the capital of the island. On the way, discovery of the ruins of the Kurykan wall which barred formerly the access to the holy site. Arival to Khujir in the afternoon. After breakfast excursion by 4X4 (UAZ) to Khoboy Cape, the northernmost point of Olkhon, sacred place of shamans. This trip will allow you to discover the beauty of the Maloye More (Small Sea) and its islets, also places of worship of shamans. Stroll to the cape. After breakfast sail along the western coast to cape "Pokoiniki". If the weather conditions are good it’s possible to stop near Rytyi cape and Solontsovyi cape – the territory of Baikal-Lenskiy reserve. 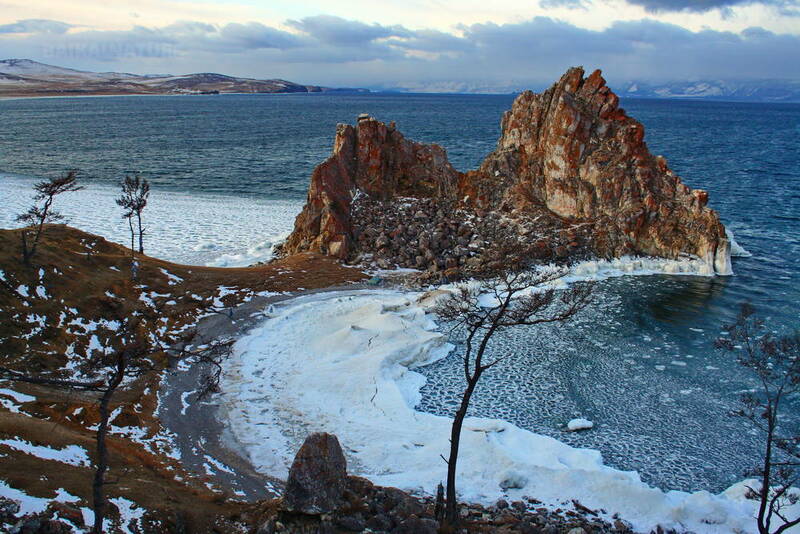 The mysterious cape "Rytyi" is located in the central part of the Baikal on western coast, opposite the widest place of the Baikal. There are no any settlements here, it couldn’t be reached by any highways, and there is no even track along the coast to this place. Local residents diligently avoid visiting cape "Rytyi", calling it as a damned place. Something inexplicable still happens at this cape. The source of such influence still remains mysterious for people. 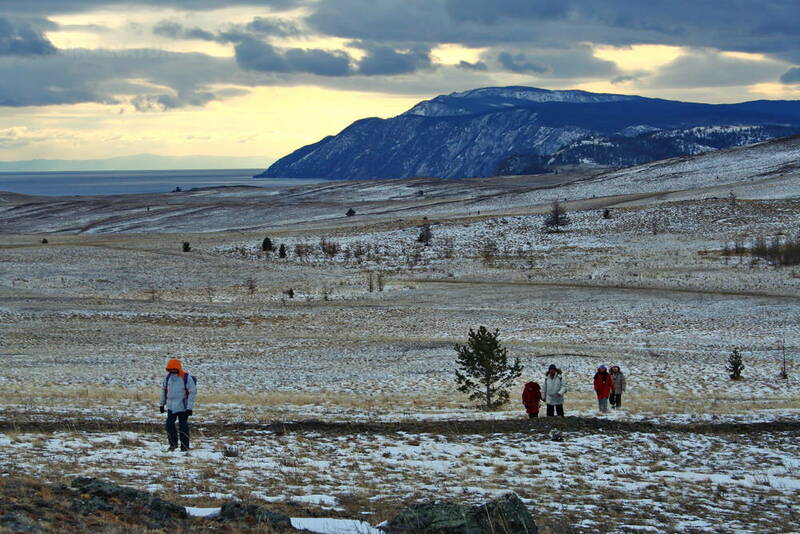 The cape "Pokoiniki" is located in the north part on western coast at the foot of the Baikal mountain ridge. On one of the first maps this cape was called "Pokoiniy". The fold, near it, has the same name. And then, this name had changed to "Pokoiniki", which means in English "dead people". 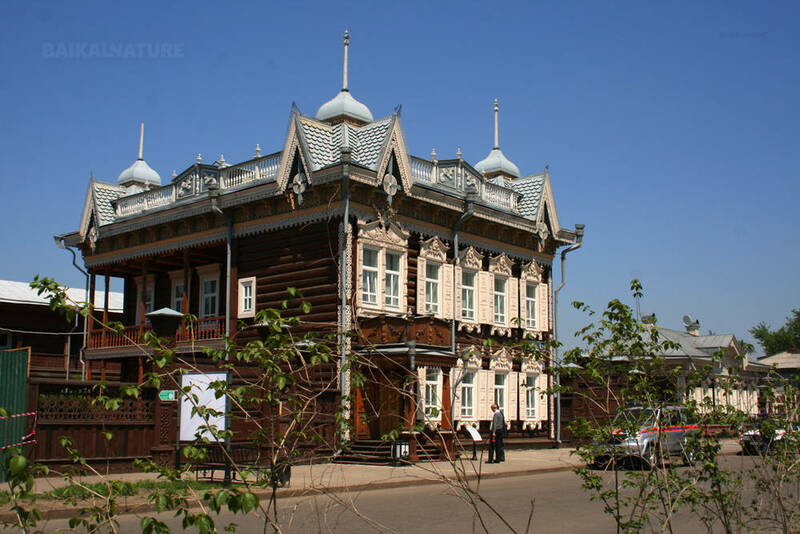 Nowadays, old weather station "Solnechnaya" is located here. Time for rest on shore. *According to the weather conditions and ice quality the itinerary can be changed on the similar one. Long sail to Chivyrkuiskiy Bay. Crossing of Lake Baikal in its widest part. 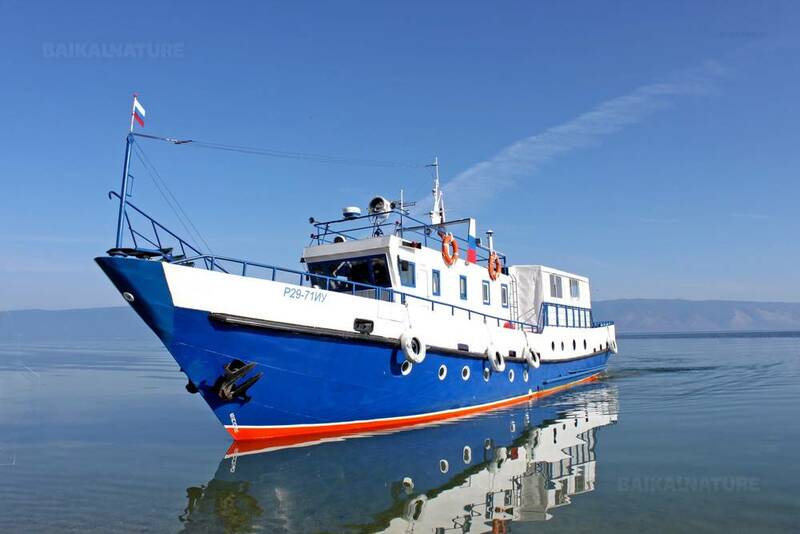 This great cruise will really allow us to sail in the geographical centre of the lake. We will sail for several hours before we reach Chivyrkuiskiy Bay. During this day visiting the bay Zmeinaya. Zmeinaya (Snake) Bay is famous for curative baths with temperature from +41 to +45 degrees Celsius. If we get chance, we will be able to observe freshwater seal ! The road will passe through the taiga, steppes, bouryat villages. Guaranteed departure for a group of 6 persons. The price includes breakfast on Day 2-8; lunch Day 2-6 and dinner on Day 2-6. Single supplement 11 200 RUB / pers. (days 1-3, 6, 7) We can switch the category of rooms or accommodation according to your request (days 1-3, 6, 7). Please contact us before your departure. During our cruise we will sail a three-cabin boat (4 persons in each cabin), up to 11 tourists. 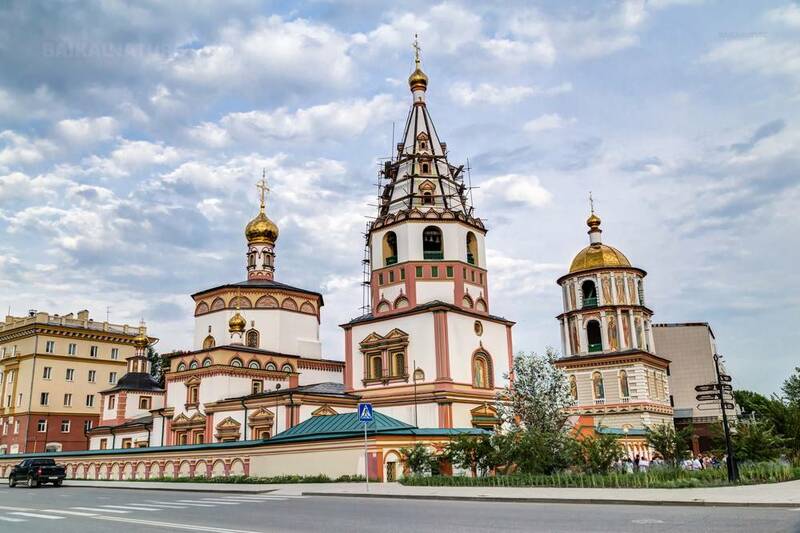 Transfer to the airport on last day is 1 200 RUB / car of 3 passengers (from 7:00 to 22:00).